Fitness challenges have become all the rage. 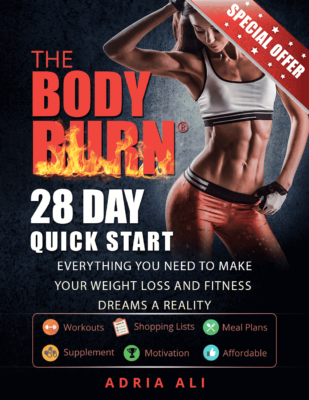 So much so that pinterest and other sharing platforms are packed full of images on how you can change your body in only 30 days! I decided to put together a round up of some of the most popular challenges. Take your pick, then follow along and let the routine help you build a stronger, leaner, and more defined physique. Let us know which one you chose and what kind of results you achieved. Cleverly named, this challenge mixes abs, high intensity exercises, and strength training just to help you achieve a better figure for that “Little black dress.” Every 3 days you get a “Rest day,,” then the stakes are raised and the routine gets a little harder. Pros: It’s easy to follow and you don’t need to know tons of exercises. Cons: I could get boring and repetitive. Uhm, I kinda love that they named the challenge after Batman. Who does’t want to be Batman!? Pros: Easy to follow, fun gimmick. Cons: Not very interesting and might be to easy for some. Want to look better in your bikini? Don’t we all. Use this routine to mix it up and get results. Pros: Fun, interesting exercises with 3 rounds of circuits to keep it interesting and fun. Fitness Tips: My recordation would be to do this 3 -4 days. Usually every other day with a cardio day in between. 30 Day Ab and Squat Challenge. I do love Tribe Sports, buttttt I’m partial because I’ve written for them 😉 This routine is simple and fun. Pros: I love the detailed format over the 30 days, the images, and the variety of exercises. Cons: It would be better if it was a full body routine. While this isn’t a 30 day weight loss challenge, or fitness challenge, it is something you can do quickly no matter what your schedule may be. Everyone has 3 minutes out of their 24 hours right!? This workout is by BUZZ Feed. Cons: I wish it was more then one round – maybe 2 -3 for a better workout. Take your pick of the routines above and let us know how you liked these 30 day fitness challenges. If you know someone who would love these routines, then pass on the fitness love with our share links above!